Also in December, the scene of a ‘Girl running to survive after her family had been killed’ was said to be in Aleppo. In reality, it was a scene from a Lebanese music video, which someone at some point clearly chose to depict as in Aleppo, for the same anti-Russian, anti-Assad vilification purposes. In November 2014, a clip dubbed ‘Syrian hero boy’ went viral, viewed over 5 million times already by mid-November. The clip showed what appeared to be a little boy saving his sister from sniper gunfire, and was assumed to have been in Syria. Once again, the so-called ‘experts’ got it wrong. The barrel which Galal referred to had a poor imitation of the flag of Syria painted on it, the flag’s color sequence out of order. The clip she was so certain had been filmed in government areas of Syria was actually produced in Malta by Norwegian filmmakers. In October, 2016, Press TV was one of the few outlets to report on another adorable Aleppo boy, Mahmoud, “a six-year-old Syrian boy who was born without arms, and recently lost both of his legs after stepping on a mine planted by militants in Syria’s Aleppo.” The report includes scenes of Mahmoud showing his resilience, adjusting to life without any limbs. But for corporate media, Mahmoud’s were the wrong villains. While in al-Waer, Homs, on June 9, 2017, speaking with a woman who had returned not long after the last terrorist had been bused out in the government’s reconciliation agreement, she told me a story of her friend from the area. Bearing in mind that this is second hand information (and that I didn’t have time to stay another day to meet the friend in question), I’ll leave her words and this 2012 link as food for thought regarding the use of children, alive or day, for war propaganda against Syria: “In 2014, my friend’s son, Louay was leaving his school. A mortar fell on the street nearby and he was hit with shrapnel. The Red Crescent took him in an ambulance to al-Bour, a nearby aid association, which couldn’t treat him, so he was taken to a government hospital in al-Zahra’a. They tried to save him, but he died. Later, she saw on both al-Jazeera and al-Arabiya footage of her son, with men blaming the “regime” for killing children in Syria. But she didn’t agree. The government helped her son and tried to save his life. He was 7 years old. This op-ed article appeared first in RT, June 19, 2017. Published now in The Indicter in agreement with author Eva Bartlett. 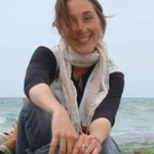 Eva Bartlett is a freelance journalist and rights activist with extensive experience in the Gaza Strip and Syria. Her writings can be found on her blog, In Gaza – and beyond.